We believe that most applications will look the same. Some developers create "cool" apps (like the skinning on Windows Media Player) but we wouldn't. Maybe because we are boring, maybe because we mainly create business applications, but we always aim to create consistent user interfaces. Do you know why you choose Windows Forms? Do you design a mockup UI first? Do you use code generators? Do you use red and yellow colors to distinguish elements in the designer? Do your applications support XP themes? Do you use inherited forms for consistent behaviour? Do you display consistent information? Do you encapsulate (aka lock) values of forms? Do you know when to use User Controls? Do you know how to design a user friendly search system? Do you use Validator controls? Do you use DataSets or create your own business objects? Do your Windows Forms have a StatusBar that shows the time to load? Do you not cache your lookup data in your window forms application? Do you use the designer for all visual elements? Do you always use the Visual Studio designer for data binding where possible? Do you avoid using MDI forms? Do you have a correctly structured common code assembly? Are your Data Access Layers compatible with Web Services? 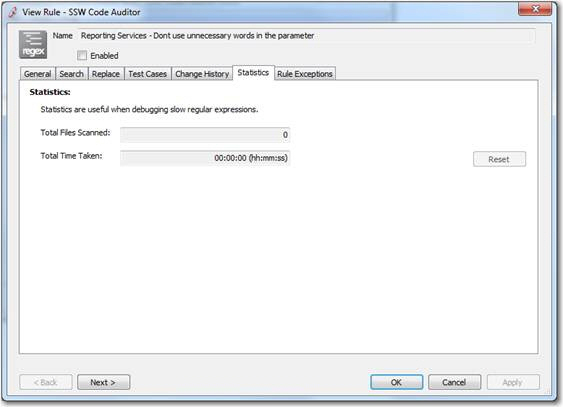 Do you log all errors (with SSW Exception Manager)? Do you make a strongly-typed wrapper for App.config? Do you keep the standard .NET DataGrid? Do you replace the standard .NET Date Time Picker? Do you avoid 3rd party menus & toolbars? Do your List Views support multiple selection and copying? Do you use an image button for opening a web page taking action? Do you use "OK" instead of "Ok"? Do your forms have Accept and Cancel buttons? Do you name all your "OK" buttons to be an Action eg. Save, Open etc? Do you make Enter go to the next line when you have a multi-line textbox rather than hit the OK button? Do you make common controls with consistent widths? 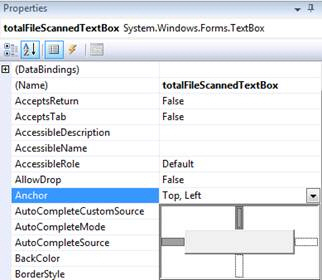 Do your Windows Forms applications support URLs? Do you include back & undo buttons on every form? Do you use NUnit to write Unit Tests? Do you save user settings and reuse them by default? Do you have ResetDefault() function to handle messed up user settings? Do you use Threading to make your user interfaces more responsive? Do you use two lines height to display file name in the text box? Do you use Status Control? Do you prevent users from running two instances of your application? Do you add a "(customized)" column in grid if there are default values? Do you know there should be a standard menu item "Check for Updates"? Do you use Web Service to send emails? Do your label beside input control(Textbox, Combobox, Datetime, etc...) have colon? Do you always use GridView instead of ListBox? 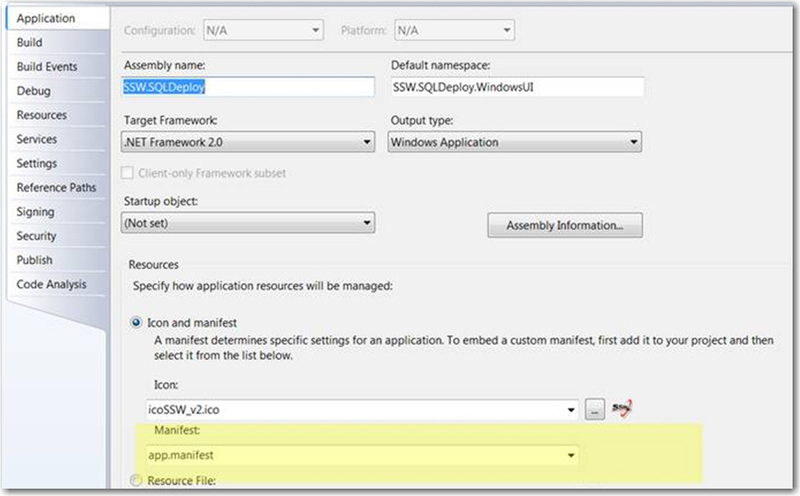 Do you know how to make .Net wrapper work on both x64 and x86 platforms? Do you set the ScrollBars property if the TextBox is Multiline? Do you know how to run write application to run with UAC turn on? 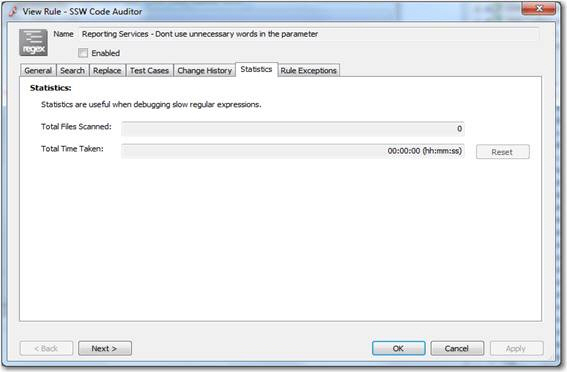 Do you use Auto wait cursor on your windows application? Do you make your add/delete buttons crystal clear? Do you always set FirstDayOfWeek to Monday on a MonthCalendar? Do you always set ShowToday or ShowTodayCircle to true on a MonthCalendar? 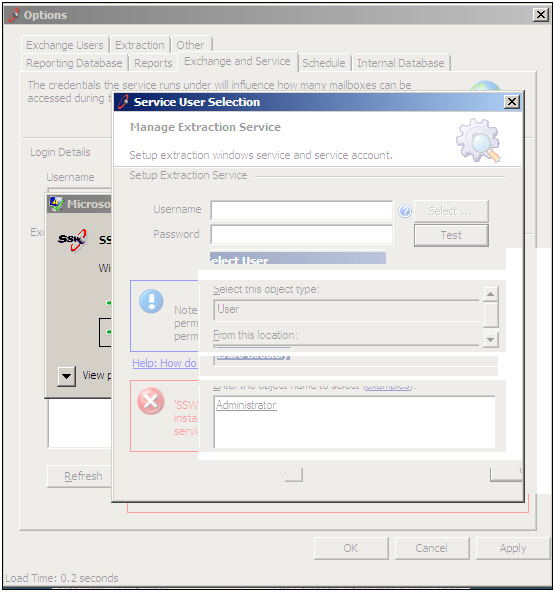 Do you set PasswordChar to (*) on a TextBox on sensitive data? Anchoring and Docking - Do you use Anchoring and Docking (full) if you have a multiline textboxes? Anchoring and Docking - Do you use Anchoring and Docking (horizontal only) with single line textboxes? Do you know TextAlign should be TopLeft or MiddleLeft? Do you know other UI rules? Almost everyone assumes today to use web forms for broad reach because of easy installation and cross platform compatibility. That is correct. In the old days (1995-2000) companies used Windows Forms, later (2000-2007) they rolled their own ASP.NET solution, however since then (2007+) SharePoint has become the default choice for an intranet. When you need something richer and you can control the environment, Windows Forms (needs .NET Framework) is still the choice. Silverlight (needs the Silverlight Runtime) is the way to go. Only the data is transferred from the server, not the presentation code. Web forms must download the data and the rendered UI taking up large bandwidth. Data transfer can be compressed and uncompressed to use less bandwidth. For example, using a Pkzip scale (1-9) of 6, we used the Open source algorithm 'Blowfish' to compress/encrypt 240K of data to 30K. i.e. 87% compression. If you are going to the same record within a certain time period, Windows forms will retrieve the data from cache instead of calling the data service again. For example, when you click search on a Windows form, you don't have to do a request again if the search was done recently. Because of the bandwidth advantages above, the server will make less requests and hence runs faster. The client has become thicker, using more processing power and capable of more complex business logic. Development is much easier with quick feedback. There are no compliance issues to follow as in web development with browsers. By choosing windows forms you are making the developer, end user and accounts groups happier. The only group which may rather a Web solution is the network admins. I've seen so much time wasted on complex documentation. I'm all for detailed analysis of specific business logic, but most user requirements can be encapsulated in screen mock-ups of the application. Nutting down the detail in screen mockups with the client brings more ideas that produces a better end product. See Do you make dummy screens before you code? The database schema should be designed before the mockup UI is started. Code Generation should also be done at this stage. Code generators can be used to generate whole Windows and Web interfaces, as well as data access layers and frameworks for business layers, making them an excellent time saver. I dont care which one you use as long as you invest the time and find one you are happy with. The one important thing is they must have command line support and the files they generate should be recognizable as code generated by prefix or a comment like Dont touch as this was automatically generated code. Make it easy to run by putting all the command line operations in a file called '_Regenerate.bat'. Therefore I say a _Regenerate.bat file must exist under the solution items to recreate data access layer and stored procs. Note: it also includes templates for Rocky Lhotka's CSLA architecture from a SQL Server database. Do you use red and yellow colours to distinguish elements in the designer? Usually these controls are always yellow. However sometimes new areas on forms are made red and visible, so you can get UI feedback on your prototypes. Since they are red, the testers know not to report this unfinished work as a bug. All applications should be compatible with the Windows XP user interface and should be fully themed. Applications that do not use XP themes look like they were designed only for an earlier version of Windows. Mixing themed and non-themed controls looks equally unprofessional. We recommend using manifest file to support XP Themes in .NET. Follow this to use the manifest file. Set the FlatStyle Property in all our controls to "System"
Note: in .NET 1.1 you can use Application.EnableVisualStyles to support XP Themes. This approach is not recommended because it can cause an 'SEHException' to be thrown and some common controls could disappear. 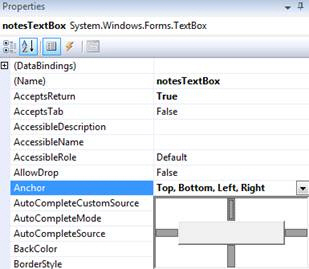 For more information see Bugs reported in Windows Forms Forums. It checks that all your appropriate controls are set to FlatStyle.System and that you have included a manifest file in your solution. I think if you can keep the level of form inheritance to a minimum, then you may not see the problem or at least you will experience the problem less. Anyway even if you do, stop whinging and just close down Visual Studio.NET and restart. You don't change the base form that often anyway. Well how do you keep it to a minimum? Well make the first base form without any controls, only code (to make it as flexible as possible and avoid having a multitude of base forms). 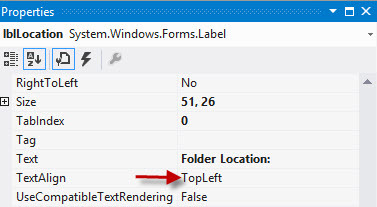 We try to keep the number of controls on inherited forms, and the levels of inheritance to a minimum, because it reduces the risk of problems with the Visual Studio Designer (you know when the controls start jumping around, or disappearing from the Designer, or properties getting reset on inherited copies or even the tab order getting corrupted). Designer errors can also occur in the task list if the InitializeComponent method fails. When you have a link in your application, use the same text layout as below and a "More" hyperlink to the same page with the same description. The resulting effect is when the user clicks on the "More" hyperlink, the page will begin with exactly the same information again. This ensures the user is never confused when navigating from your application to a link. This can be achieved with the following code, which works by hiding the existing property from the designer using the Browsable attribute. The Browsable attribute set to False means "don't show in the the designer". 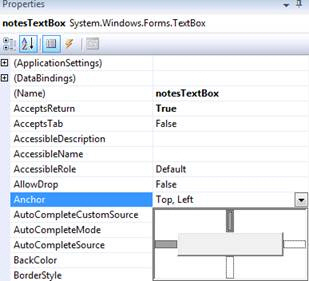 There is also an attribute called EditorBrowsable, which hides the property from intellisense. // Must be hard coded - cannot use Me. 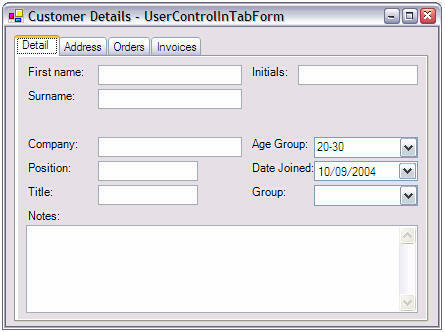 User controls allow you to have groups of elements which can be placed on forms. Bad: User controls can be really misused and placed in forms where they shouldn't be. An example of that is shown below, under the components directory the user controls placed and used only once at a time during the application flow. There is much more coding responsibility on the developer to load those controls correctly one at a time inside the main form. Good: User Controls are best used for recurring or shared logic either on the same form or throughout the application. This encourages code reuse, resulting in less overall development time (especially in maintenance). Example, the figure below shows the good use of User Controls, the address control is repeated three times but coded once. You lose the AcceptButton and CancelButton properties from the Designer eg. OK, Cancel, Apply. 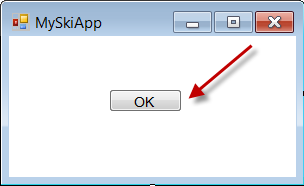 Therefore the OK, Cancel and Apply buttons cannot be on User Controls. Have a "Simple" tab this shows minimum fields, that is just one like google. eg. A customer calls, they said they were from Winkleton, but I'm not sure what that is. Do I put it in the Region, City or Address fields? so you need to simply search in all fields with one single text box. Note: I prefer this over customers needing to learn prefixes like Googles (for example, "city:winkleton"). The ErrorProvider control is code intensive. You must manually handle the Validating event of each control you want to validate, in addition to manually running the validation methods when the OK or Apply button is clicked. 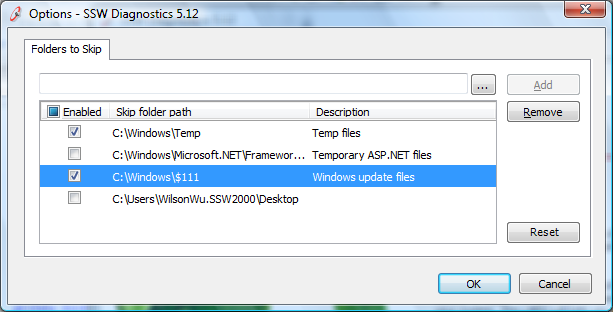 Note: The component for balloon tooltips can be found in the SSW .NET Toolkit. 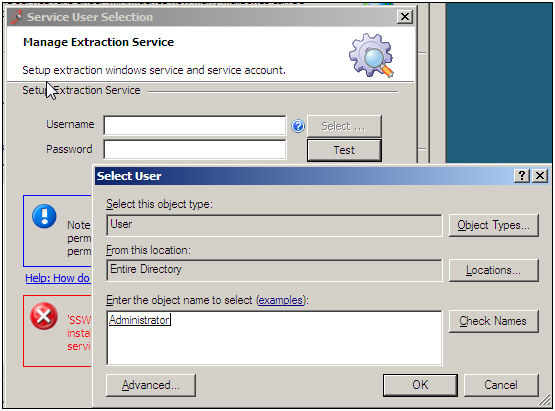 The error provider has the advantage over the extended provider that it can be used with balloon tooltips. If you are not using balloon tooltips, however, the error provider should not be used. The SSW Extended Provider integrates with the ErrorProvider control to provide the same functionality, but requires no code to implement (everything can be done in the Designer). Strongly typed DataSet objects can be created automatically in Visual Studio. Custom business objects must be laboriously coded by hand. DataSets, when used with data adapters, can provide CRUD (Create, Read, Update, Delete) support. You must manually implement this functionality with custom business objects. Support for concurrency is part of the DataSet object. Again, you must implement this yourself in a custom business object. It is difficult and time-consuming to write custom business objects that are compatible with data binding. The DataSet object is designed for data binding. The DataSet object is a very heavy object and is memory-intensive. 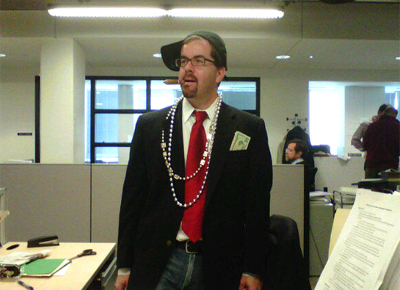 In contrast custom business objects are always much more efficient. Business objects are usually faster when manipulating data, or when custom sorting is required. Business objects allow you to combine data storage (NOT data access) and business logic (e.g. validation) in the one class. If you use DataSet objects, these must be in separate classes. Microsoft's official word on this matter is explained in Designing Data Tier Components and Passing Data Through Tiers. E.g. For business objects you must manually code up the bindings, with datasets however you may use the designer for binding straight after designing the dataset. This layer should be code generated - so it doesn't matter much. In Visual Studio 2005, binding to business objects is supported in which case we might be swayed to use business objects. Datasets are a tool for representing relational data in an object oriented world. They are also slower across networks. Datasets are fantastic for maintenance forms (an editable grid with a couple of checkboxes and text boxes and a save button), but terrible for real complex forms. In a complicated scenario you might have a Customer object. An Order form has a reference to this customer object that it uses to display. When a process is run on the Customer invoked from the Order, you can simply pass a reference to the customer, and if something changes, fire an event back to the Order. If datasets were used, you would be either passing datasets around (which some may say is not very safe, or good OO) or pass an ID around and have the process load the data again. Also it appears .NET 2.0's BindingList makes binding extremely easy along with IEditableObject. But in most cases, you don't even need to implement these. Rocky Lhotka recently appeared on a .NET Rocks! episode and they had a big discussion of business objects versus datasets. The use of either must change on a case by case basis. Datasets do allow you to get more for free, but if one day management decide you need to do something a little out of the ordinary, there will be problems. In contrast, business objects take longer to write (this can be minimized with a good code generator and custom templates), but stand the test of time much better than Datasets. Every form should have a StatusBar that shows the time taken to load the form. Developers cant catch and reproduce every performance issue in the testing environment, but when users complain about performance they can send a screenshot (which would including the time to load). Users themselves also would want to monitor the performance of the application. This is one of Microsoft Internet Explorer's most appalling missing feature, the status bar only says 'Done.' when the page is loaded - 'Done: Load Time 14 seconds'. More suggestions for Internet Explorer can be found on the page SSW Microsoft Internet Explorer Suggestions. 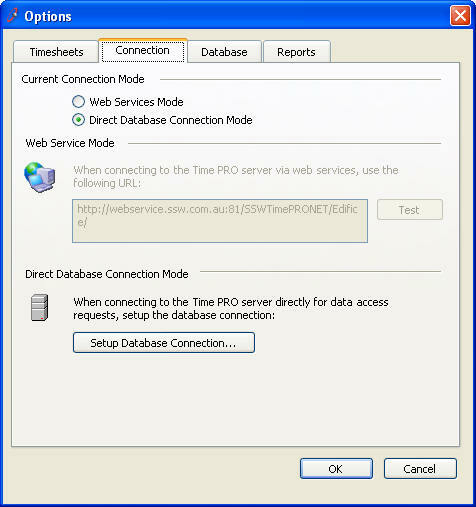 In the figure below, the time taken to load the form over a dialup connection is 61.1 seconds, this proves to the developer that the form is not useable over a dialup connection. In this particular case, the developer has called a 'select * from Employees' where it was not needed, only the name, password and ID is needed for this form. Note: Once the form is loaded and load time is shown, the status bar can be used to show anything useful as the form is being used. Add a StatusBar to the form, and add a StatusBarPanel to the StatusBar, then set the properties like below. 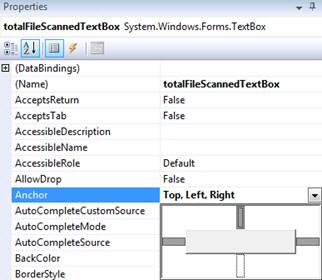 Do you not cache lookup data in your Windows Forms application? 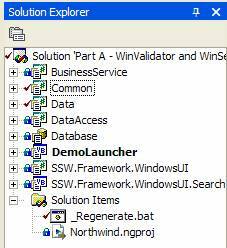 To avoid unnecessary database look-ups, many developers cache lookup tables when creating a windows application. There are issue that can arise as a result, mainly to do with the synching of the lookup data. If the database administrator decides to change the lookup tables, there is bound to be a user online using a static old version of the lookup data. This may result in sql exception, and data corruption. Exception #1: If the application can be taken offline where the users will not access the database for a finite time, then it is recommended that you cache lookup data. However, we do not recommend caching of non-lookup data, i.e. products, clients or invoices. Note: This is a different scenario to complete offline caching; offline caching is recommended and should be implemented (e.g outlook & IE - [Work Offline]. However, this rule is about combo boxes and list views which contain less than 100 records. There is not much benefit to caching lookup data as there is much more coding involved. High frequency: Cache the data and provide an option to refresh all cached data or disable caching all together. 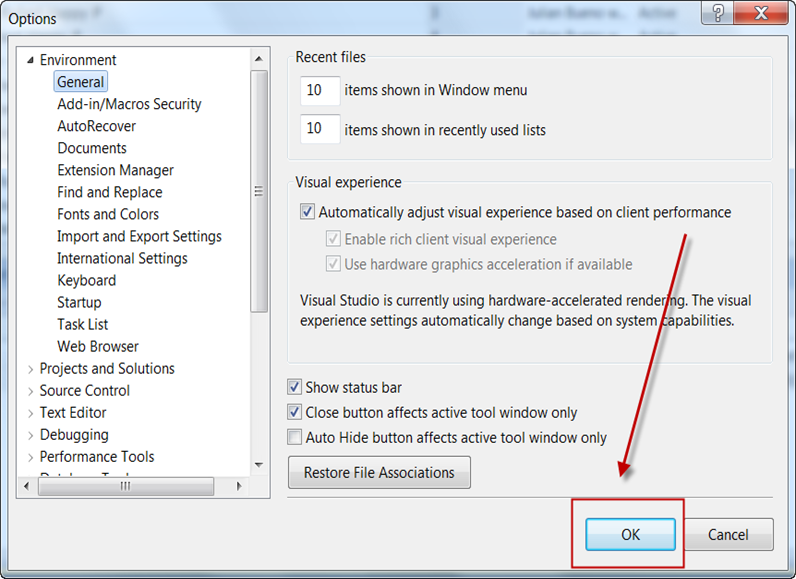 (e.g menu items View->'Refresh All' and Tools->'Options'->'Disable Caching'). We would love to be proved wrong on this rule. We have 1000s of users on some of our applications, we have tried caching lookup data and we ended up with a lot more code containing exception handling and table refreshing than its benefit. The designer should be used for all GUI design. Controls should be dragged and dropped onto the form and all properties should be set in the designer. Basic data binding should always be done in the designer because the syntax for data binding is complex, and confusing for other developers reading the code. When you need to handle the Format or binding events, you can still use designer data binding, as long as you hook in your events prior to filling data. // Designer auto generated code. 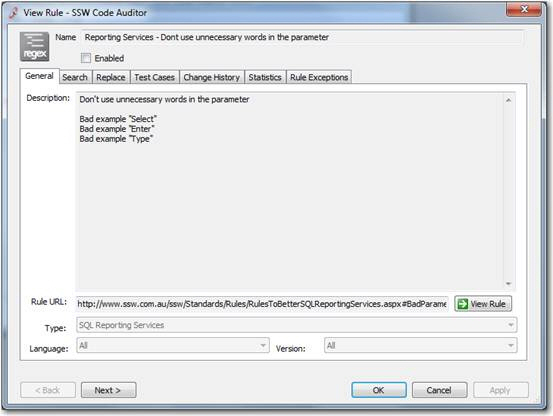 See our SSW Rules to Better Websites - Development - Do you always use the Visual Studio designer for data binding where possible? As developers, we love to use tabs similar Visual Studio.NET (figure below) and browsers such as Mozilla and CrazyBrowser. Tabs are great for developers, but standard business applications (e.g Sales Order System) should be developed as SDI (Single Document Interface). This is because users are used to Outlook and other office applications, which don't use MDIs at all. If the users want to group windows, Windows XP lets you "Group Similar Taskbar Icons". For more information see Do you have a consistent .NET Solution Structure?. Data Access Layers should support not only direct connections to SQL Server but also connections through web services. Many applications are designed for use with a database connection only. As users decide to take the application some where else away from the database, the need for web services arises. All database applications should be web services ready as the future direction is to use web services only, because even locally a web service connection is not much slower than direct connection. The performance difference shouldnt be substantial enough to require a double code base. Microsoft provides full source code for the EMAB, which is fully extensible with custom logging target extensions. We decided to customize the EMAB to produce the SSW Exception Management Block, which logs exceptions to a database using a web service, allowing us to keep a history of all exceptions. Your code should not contain any empty catch blocks as this can hamper exception handling and debugging. By using logging, the developer has access to more information when a particular error occurs like which functions were called, what state is the application currently in and what certain variables are. This is important as a simple stack trace will only tell you where the error occurred but not how it occurred. Unfortunately, the Configuration Block does not automatically provide this wrapper. Note: In Visual Studio 2003 the standard DataGrid has some limitations. It was ugly compared to a ListView and did not support combo box or button columns, making it useless for many applications. 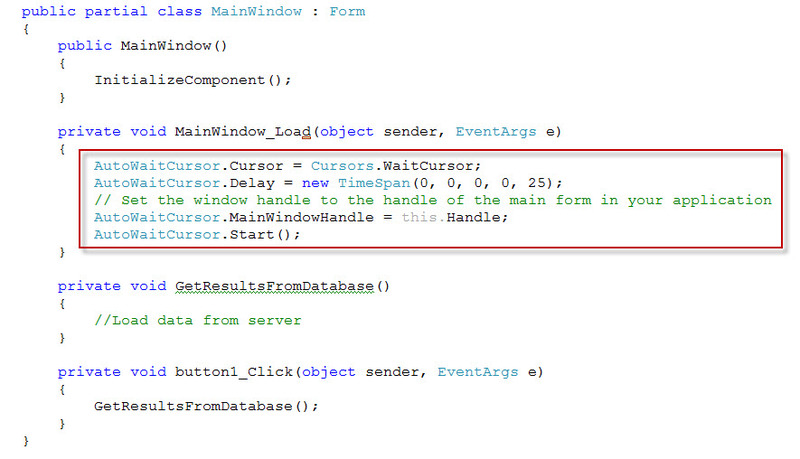 Now in Visual Studio 2005 we have this great new DataGridView control which solves these problems. A good replacement for the standard Date Time picker is the UltraDatePicker by Infragistics. The main reason for the use of the UltraDatePicker over the standard .NET one is because the .NET one does not take null for a date value. If you set the property "Nullable" to false in UltraDatePicker, the same issues appears again. So the solution is to allow null, but where the field is required, make sure the validation picks it up and asks the user to enter a value when saving the form. The menu & toolbar controls in Visual Studio .NET 2003 do not allow you to have icons in your menus or have alpha-blended toolbar icons. They also do not provide an Office-2003 like look. However, we have tried several third party menu and toolbar controls and all of them had serious bugs, e.g. We love 3rd party controls, a lot of developers spend a lot of time implementing these tools to make their applications sweeter, but we found that there is not enough benefit in implementing these controls. 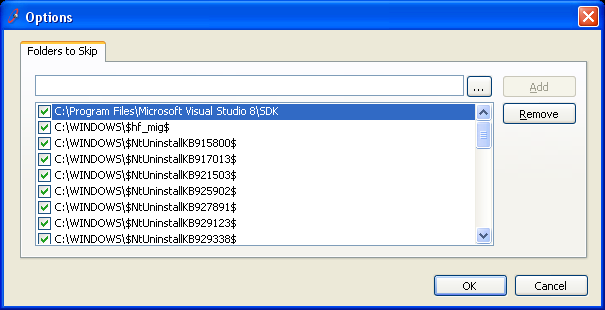 However, it would be better if VS 2005 stored the details of menus and toolbars in an XML file. List Views such as in SSW Diagnostics can present a wealth of information to the user. But too often, users are unable to copy this information to paste into a support email because the list view doesn't support copying. Instead, the user has to frustratingly retype the information with the risk of introducing errors. Make it easier for the user by enabling the "MultiSelection" property of a ListView and providing a right click menu with a "Copy" item that copies to the clipboard. Opening a specific web page (that the user is aware of) from a windows application should always be in the form of a hyperlink. Below is a simple example of a hyperlink simply opening a web page containing just more information or help. However if you are taking action then opening the page (e.g concatenating the URL, etc) then you must have an image button to illustrate the action which will be taken. But when it requires some form of action (e.g. generating reports, passing and processing values), use a button with an image. Note: Screenshot contains XP button because the .Net 1.1 button does not support images, however the default button in .NET 2.0 supports images. 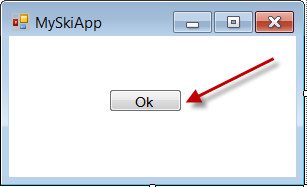 Figure: Bad example with button text "Ok"
Figure: Good example with button text "OK"
If you have a button in a form you must have an accept or a cancel button. As a result user can use "Enter" and "Esc" to control the form. reusable code, the Accept and Cancel buttons should be in the base form. If your form has an "Ok" button it should be renamed to be an Action. For Example: Save, Open etc. Do you make "Enter" go to the next line when you have a multi-line textbox rather than hit the OK button? If you have a multi-line textbox in a form, you should make the "Enter" key go to the next line in the text box, rather than cause it to hit the OK button. It can be done by assigning "True" value to AcceptsReturn and Multiline options in properties bar. Figure: Developer Notes properties details. There are a few common controls we always use in our products. For example, DateTime and Ellipsis Button. We need a standard for the width so the controls should be more consistent. Note: Controls on base forms will be made to be 'protected' rather than 'private', especially so that inherited forms of different sizes don't mess up. Rule - C#/VB.NET UI- Button Height and Width - for Standard Button (75 x 23 pixels) – Level 2: all buttons < 6 characters: Check the standard size (75 X 23 pixels) for buttons with the word length less than or equal to six characters, except the following buttons. Rule - C#/VB.NET UI- Button Height and Width - for Standard Button (75 x 23 pixels) – Level 1: the action buttons: Check the standard size (75 X 23 pixels) for the following action buttons. Aside from ease of installation, what is the one thing a web browsers has over a Windows Forms application? - a URL! With a Windows Forms application, you typically have to wade through layers of menus and options to find a particular record or "page". 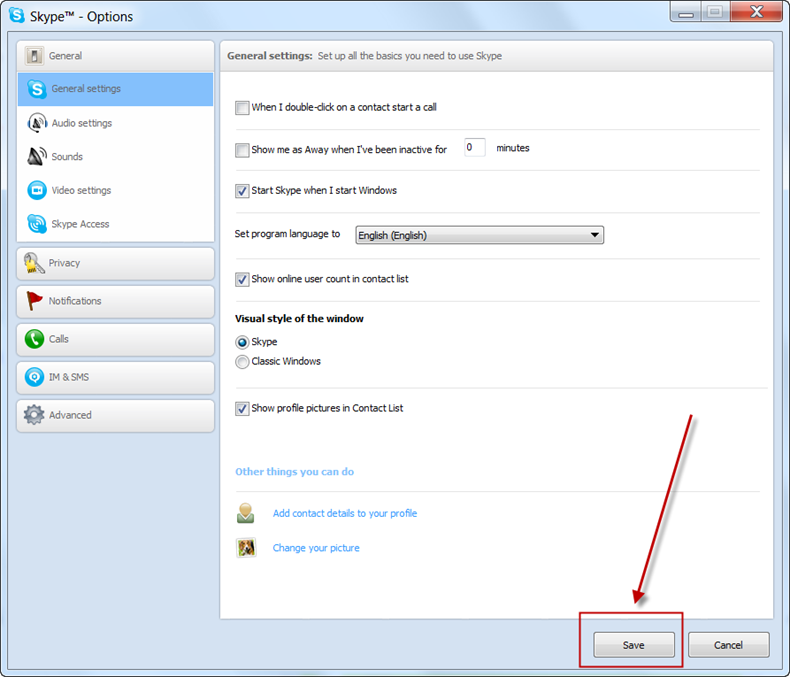 However, Outlook has a unique feature which allows you to jump to a folder or item directly from the command line. HKEY_CLASSES_ROOT\AppName\Default Value = "URL:Outlook Folders"
HKEY_CLASSES_ROOT\AppName\shell\open\command\Default Value = "Path\AssemblyName.exe /select %1"
Add code into your main method to handle the extra parameters. 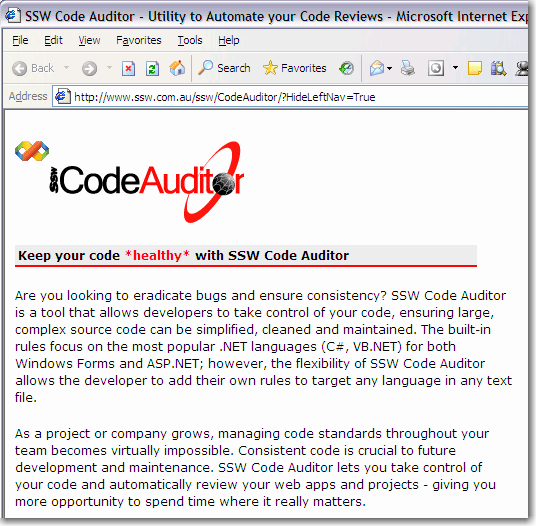 Sample code implementation in the SSW .NET Toolkit. Following on from including a URL, almost every form should have a Back and an Undo button which takes you back to the previous screen, or reverses the last action. This is just like Outlook (see figure below), it has a Back button to take you to the previous folder and an Undo button. Note: Back button should only be implemented if different views can be shown in the same window. Note #2: You dont put Undo buttons on non data entry forms such as a Print Preview form. The list of forms/URLs and the order in which they have been accessed should be stored in a DataSet held in memory (like IE) - not saved to disk. When anyone sends you a bug that happen in their environment do a unit test. Just because the code runs on your machine it doesnt mean it will work on the users machine. E.g permissions issues - you are an admin while the user is only a simple user, registry & io reads might fail, NUnit will test for this and let you know. Unit testing is a valuable tool when maintaining code, particularly in a team environment where you may have to fix a bug in someone else's code. Unit Tests ensure that you do not introduce new bugs in someone else's code, or code that you have not looked at for a while. We like NUnit because it is free, we have found that it is easy for developers to learn and it integrates well with Visual Studio. Visual Studio .NET 2005 integrates Unit Testing with Visual Studio Team System. We will use this when Visual Studio 2005 is released. One important test that should be implemented (if your setup package or build script doesn't pick it up) is to validate that your application installs all required DLLs. .NET loads DLLs just in time (JIT) - which means that a missing DLL is will not generate an error unless it is required. Example: You may have a shared project that your application uses. Another developer adds a reference to that project - unbeknownst to you. You build the application with no errors, and the application passes basic user testing. Problem is that the user did not run the tutorial component - which is missing from the setup package. Users who run the tutorial report runtime errors. You can resolve this issue by creating a unit test to check that all DLLs are included in the setup as per the sample code implementation in our KB article Q1852329. Unit tests should also be accessible from the Help menu to assist in troubleshooting when your users call up tech support. For more information see Rules to Better Interfaces. Note: Unit testing also works with Web projects. There should always be default values in your application if you allow users to change the settings. This will help your users to have a better first time experience and insure the application work as expected. However when the users change settings for their own preference, it is better to save these settings and give user has a better return experience, your application looks smarter in this way. Do you have a ResetDefault() function to handle messed up user settings? In our development life cycle, developers always have different Settings to the user's settings. Because of this, debug settings won't always work on the remote machine. In order to have settings.config, we also have a defaults.config. This is good because this gives a chance for the user to roll back bad settings without reinstalling the application. The application can also roll back the settings it automatically. Below is the code that what we do. 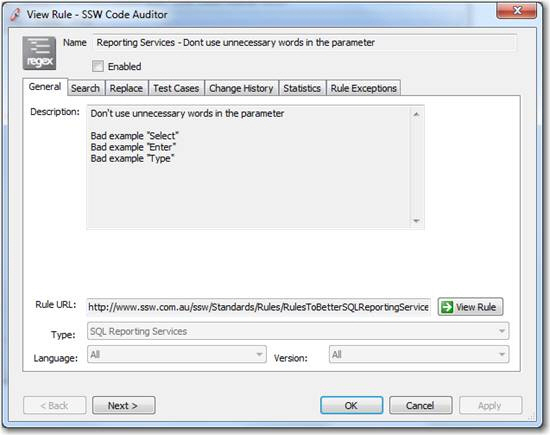 We have a program called SSW .NET Toolkit that implements this rule. Threading is not only used to allow a server to process multiple client requests - it could make your user interfaces responsive when your application is performing a long-running process, allowing the user to keep interactive. The height of a text box should be twice of the font height to display file name in full. SSW Status Control provides graphical UI for status checking result. We have a program called SSW .NET Toolkit that uses status control. "Please click 'OK' to continue, or click 'Cancel' to quit." A standard menu item "Check for Updates" should be available in the Help menu. Its function is running SSW Diagnostics to check updates and keep the system up to date easily. Do you allow users to check for a new version easily? Here's the code to run Diagnostics. In a Windows application, if you need to send mail, please use a WebService to do this, because using WebService to send emails is safer.You don't need to store the email server configuration in your application.config file, which can be installed on the client and be exposed to someone who could take advantage of it. 2. Checkboxes in the header of the control, which enables users to easily check or uncheck all items. 3. Add sub-controls added such as buttons, links, charts, and even customized controls to the Gridview. This means you get unlimited flexibility with the GridView. Bad Example: No header rows and no checkbox to check or uncheck all items. None of this can be done with the ListView. Good Example: A header row and a checkbox to control all items, and multiple columns give users a richer experience. This can all be done using a GridView. Sometimes, we need to use .Net wrapper to call Windows built-in forms for implementing special functionalities, for example, calling the Directory Object Picker dialog enables a user to select objects from the Active Directory. MSDN provides an article and an example(C++) on how to calling the Directory Object Picker dialog , and the CodePlex website gives a .Net version of implementation(C#). However, all of this implementations only work on x86 platform, and will crash on x64 platform, regarding to this problem, the keynote is to understand the difference of IntPtr in between x64 and x86 platforms. The code above always gets crash in x64 platform, because of an integer overflow and result in a segmentation fault in 64 bits. Convert all IntPtr to Int64 before the add operator (note: this will work for 32 bits as well, just less efficient). Figure: Calling the Directory Object Picker dialog causes crash on x64 platform when using the bad code above. Figure: The Directory Object Picker dialog works on both x64 and x86 platforms well when using the good code above. 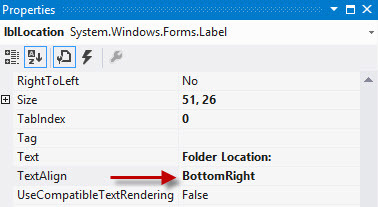 If a TextBox has Multiline set to true, then the ScrollBars property should be set to "Both" or at least "Vertical". Bad Example: Multiline TextBox without "Vertical" scroll bar. Good Example: Multiline TextBox with "Vertical" scroll bar. Good Example: Set the ScrollBars property to "Vertical" if the TextBox is Multiline. Change the project settings for WindowsUI to use the newly created App.Manifest. It can be extremely tiresome to have to continually remember to set and unset the wait cursor for an application. If an exception occurs you have to remember to add a try finally block to restore the cursor, or if you popup a message box you must remember to change the cursor first otherwise the user will just sit there thinking the application is busy. Bad Example: Cursor set manually. Good Example: Implemented Auto wait cursor. We use AutoWaitCursor Class that automatically monitors the state of an application and sets and restores the cursor according to whether the application is busy or not. All that required are a few lines of setup code and your done. 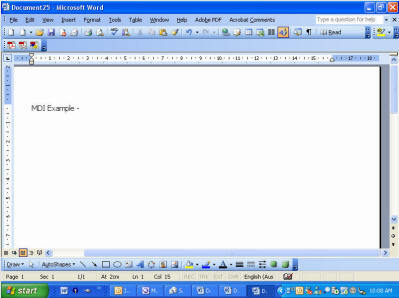 see this great blog on how to use AutoWaitCursor. If you have a multithreaded application, it won't change the cursor unless the main input thread is blocked. Infact you can remove all of your cursor setting code everywhere! You don't want someone hitting a delete button by accident. You don't want a use clicking delete execting a record to be deleted and 10 are deleted. Aim to make your delete button red and add the count into button text, so the user will be empowered before hitting that fateful delete button. If you add a multiline text box in a form, you should add anchoring and/or docking properties to allow it to expand when the form is resized. If you add a text box in a form you should add anchoring and/or docking properties to allow it to grow as the form widens, but not as it increases in height. Text Align TopLeft or MiddleLeft values are always a good practice in terms or layout orientation and UI consistency. I'm sold - What more can you do? you do? 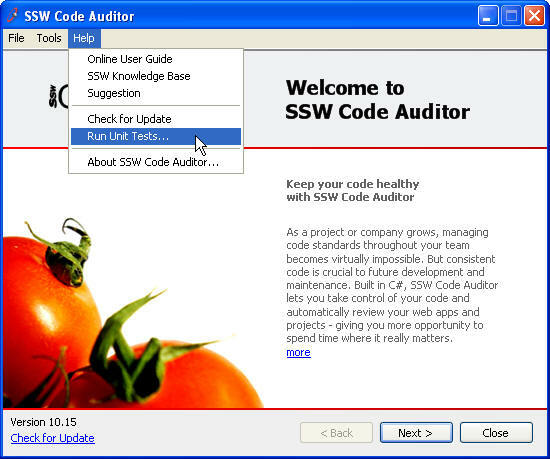 SSW Software Auditing Services have helped to improve lots of software ranging from developer utilities to large enterprise systems. Contact us and let our experts help you to audit your software.